Among other changes, the proposed bill requires local governments to give a 60-day notice to private providers if an SB 152 opt-out question will be on the ballot. Local governments are already required to provide notice when a new measure is to be included on a ballot; this creates an additional requirement for measures related to broadband. The bill also mandates that, prior to the election, a local community must develop and publicize a detailed plan as to what types of services it intends to offer, where the services would be offered, projected revenues, projected expenses, and why the municipality or its partner is seeking to offer those services. If a municipality seeks to work with a private sector partner, the requirement that they release this type of information will make any potential partner think twice. Competitors that have access to such data have an edge before the project has permission to commence. There also appears to be considerable confusion in the bill's language regarding the term "services." Fiber, wireless, direct, indirect, video, voice? The ambiguity is off-putting for any community and potential partner hoping to offer connectivity where the big corporate providers won't go while also avoiding legal challenges. How can a community create a plan that does not run afoul of the law if the details of the law are clouded in mystery? This section of the bill will increase the burden it places on local government. It will increase costs to communities early in the process, extend the timetable for proposed projects, and make local governments and their partners vulnerable to litigation from deep-pocketed incumbent providers. A legal challenge can stop a proposed project in its tracks simply by asserting that a business plan is ill-defined. Commissioner Patti Clapper said the bill sounded like blowback from industry due to so many jurisdictions voting to opt-out of SB-152. “It almost seems like … a way for industry to come in from the back door and nail us the other way around,” she said. The bill attempts to remove barriers that prevent communities from entering into public private partnerships. 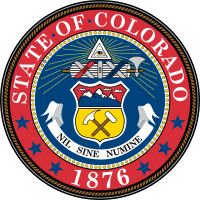 The only barriers in Colorado are those put in place by SB 152. Rather than toying with unnecessary changes that make the barrier more restrictive, the best option is to repeal SB 152 and let local communities decide for themselves how best to solve their connectivity needs.